What another great Sunday at North Side. We kept moving along in our Now series, and yesterday was great. Sonshine – Yesterday, JW and Tammy led us in worship. 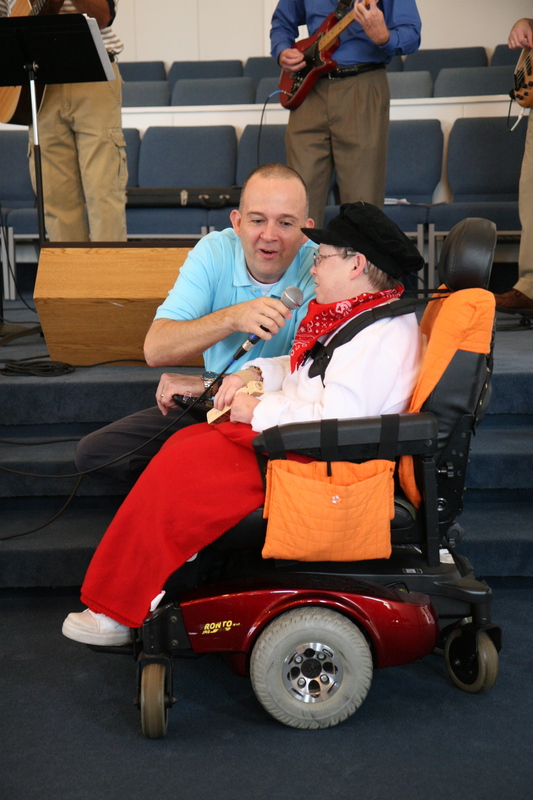 JW and Tammy are members of our Sonshien ministry, a worship service for adults with special needs and their caretakers. JW came and welcomed and prayed for the service and then broke out into “I’ll Fly Away.” One of my favorite moments came when JW said he was praying to the sweet Lord Jesus, and Jesus said, “hush, hush, it’s already been answered child.” Tammy explained that “Amazing Grace” was her favorite song because her wheel chair was her chains in this life, but when she gets to heaven, those chains will be gone. It was an honor to be led by the two of them in worship yesterday, and I was just overwhelmed at what God did in our midst. As the people of God, it’s time we stopped talking about it (living for God, following Him, etc,) and start living it. What’s the point of building glorious walls if its not inhabited by glorious people? Worship – The entire environment was so condusive to worship yesterday. There are so many people who work so hard to make it happen, and it is great to be able to serve with such talented and humble people. Remember – next Sunday: only one service at 10:00! Don’t be late. It’s going to be an incredible day. And you might have to sit on someone’s lap.